There have been many anecdotal stories of customer intimidation by staff of one of the ferry companies in particular…. Wightlink. It would be difficult to substantiate such instances, therefore evidence is required as these two videos show. There are many indications of potential problems that islanders or mainland visitors face through unregulated privately run ferry transportation. The staff appear aware that the customers have no other choice of transport across the Solent and that no authority exists to adjudicate any wrongdoing. One such instance occurred when a customer needed to transport valuable live fish across the Solent in her vehicle. (Click on the photo < or HERE to watch the video). The customer then decided to write a comprehensive letter of complaint to Wightlink, describing the treatment by Wightlink staff. The letter, while entertaining to the reader, is also disturbing. 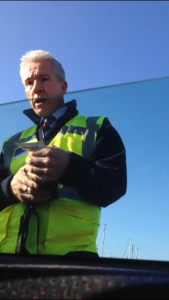 The second video shows another occasion that was recorded, where a Wightlink staff member appears to harass customers after they have agreed to pay an extra fee. On this occasion extra money was charged on an only cash basis which was given directly to the staff member without offering a receipt. (Click on the Photo > or HERE to watch the video). While campaigning for the Fixed Link, many people have approached PRO-LINK with offers of support. This email below (with names changed) explains how Wightlink again in this case, uses threatening procedures to maintain a tight stranglehold of discipline among its customers. PRO-LINK have been informed that these procedures are often used to keep businesses in line also. Please find attached the letter I previously referred to. My husband had been a commuter on and off over many years and had never had an incident with any ferry operator other than the one this letter refers to and as you can see from the letter he was a season ticket holder. At the end of this particular journey “Steve” (my husband) asked one of the Wightlink employees if it was him that had made the announcement – the employee smiled and responded that it was him and did “Steve” like it. “Steve” responded in turn, that he had not been able to understand the announcement due to the foreign accent made over the tannoy system – nothing more was said. “Steve” did not think anymore of this and was shocked when the letter arrived. 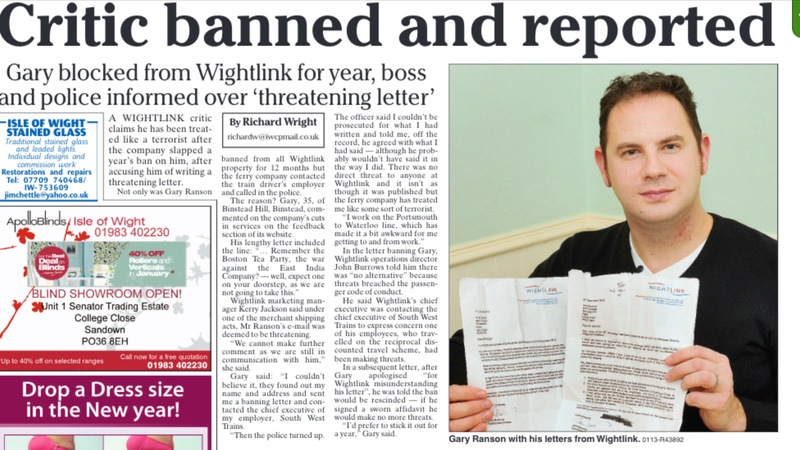 “Steve” telephoned Wightlink and spoke to the writer of the letter and explained that the incident had not happened as reported in the letter and in fact, no other Wightlink member of staff witnessed the exchange of words. 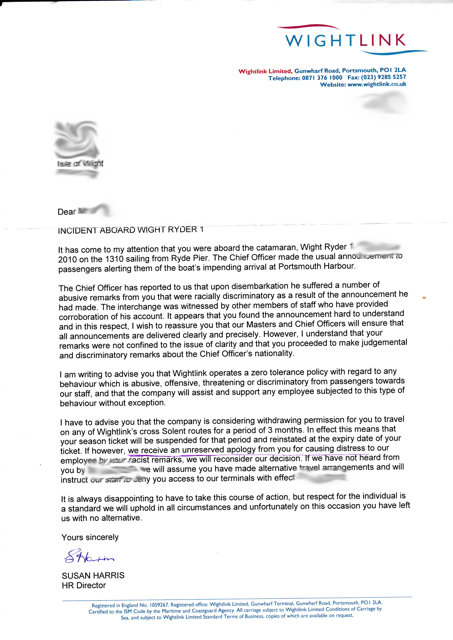 The writer of the letter was not interested in anything “Steve” had to say and he was told that he had to apologise in writing to Wightlink and apologise personally to the member of staff – otherwise they would ban “Steve” from using their ferry services. “Steve” had no alternative but to comply. He commuted daily, and if Wightlink were to ban him he would have lost his livelihood. “Steve” has worked in many countries with many nationalities and would never make comments about anyone in the way they indicated. The fact was that a member of their staff made the announcement who didn’t speak clear English and “Steve” dare say something about that. I trust that anything in this email and the attached letter will not be used in a way to identify us – after all, we don’t want to give Wightlink an opportunity to penalise us. 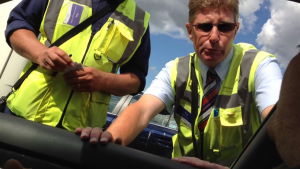 Wightlink contacted this persons employer and sought to get him sacked….. because he complained about Wightlink’s service.